Ruth Roley and Edmona Lohr at Mona's Restaurant. Edmona Lohr will celebrate her 90th birthday on January 28th. The family celebrated her birthday with a dinner at Mona's last weekend. 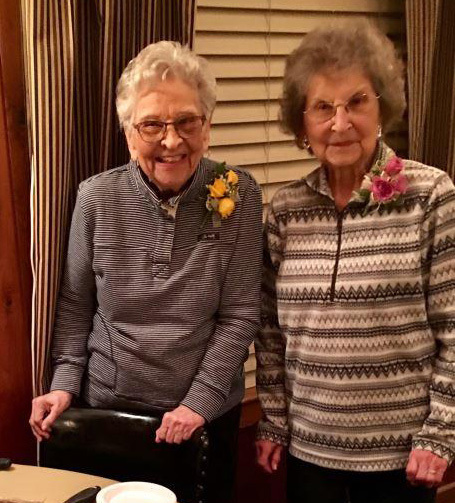 Her sister, Ruth Roley of Bloomington, celebrated her 85th birthday that night also. Many relatives braved the winter storm to attend the dinner. Please tell Edmona happy birthday when you see her.